The color of your eyes can determine the type of colors that you can use on your eyelids whenever you want your eyes to be emphasized more. There are always a lot of people who use eye makeup for green eyes but the effect is not the same because their eyes are not green. If you have green eyes then you should read this article because you have all of the natural means to show them off. 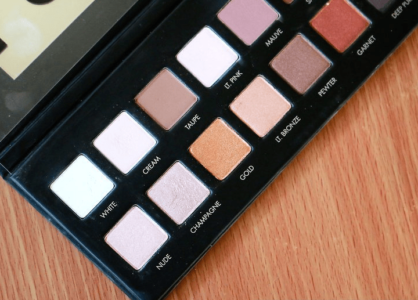 You have to know what the right tones are so that you can come up with so many makeup looks that will be fun to use whether you are trying to impress people or not. 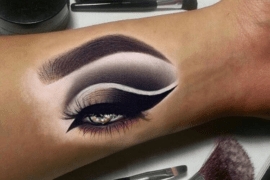 The Brand of the Eye Makeup – The eye makeup that you are going to use can come from a brand that you trust. 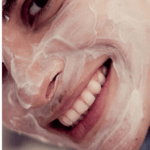 Some makeup brands are known for using only organic ingredients. There are also some that are not tested on animals. You have your own preferences and specifications. You can choose a brand depending on what you need. 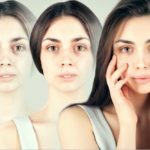  You Skin Tone – Aside from the color of your eyes, you have to realize if your skin tone would look amazing with the colors that you are going to choose. 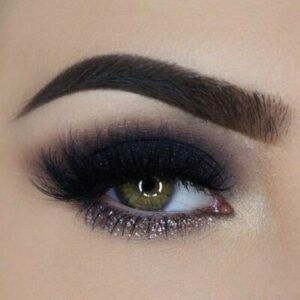 Girls with green eyes are normally advised to avoid silver but if you feel that this color will look great with your skin tone, then you have to choose what you would like to emphasize more. 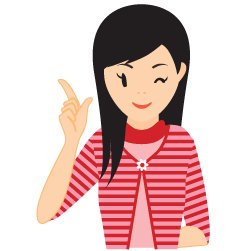  Personal Style – What type of look are you going for? Would you like to appear like as if you barely have any makeup on? If you are going to a party and you would like to go all out with your makeup, this will depend on you.  Consider the Different Color Combinations – There are some combinations that will look better together especially when compared to others. Familiarize yourself with the combinations that you want to use and you will not have any regrets. 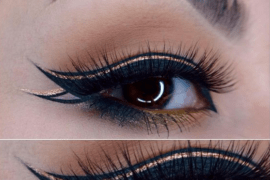 Now that you know the different things you should consider when purchasing choosing the right eye makeup for green eyes, you can now focus on the different looks that you can do. 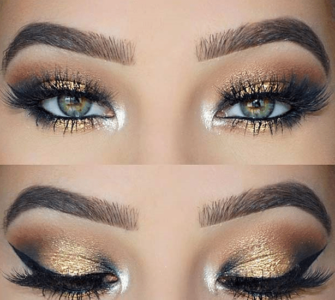 Apply the gold eyeshadow on the waterline of your eyes. Use the white cream on the corner of your eyes. 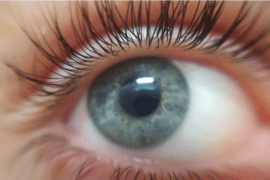 Cap off with false eyelashes in order to have amazing looking eyes. It is evident that gold is always going to be one of the colors that will be used in order to emphazize green eyes. This time you are going to mix peach with gold. Peach has the tendency to look like copper sometimes especially when it is mixed with gold so you can never go wrong with this color. This is a perfect look that you can wear from day to night. Make sure that you will line the inner corners of your eyes with white in order to make the look more playful. Using cat’s eye eyeliner will be amazing too. You do not have to use too much shimmer in order to improve this look. 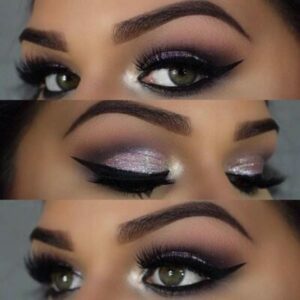 If you would like to improve the way that your eyes look like, you can never go wrong with this type of eye makeup. It is guaranteed to make your green eyes look lighter and obviously greener. Your eyes will be the focal point of your face and it is guaranteed that a lot of people would notice you for sure. This is an eye makeup that is best worn at night because it is too dark for daytime use. The glitters can be applied after you have finished with your black makeup look. Do not forget to put a bit of white on the inner corner of your eyes to make the whites of your eyes appear brighter. You can already expect that lilac and other tones that are similar to it can be used in order to play up your eyes. This can look glamorous so you can wear it whenever you have an important event to attend. You need to use more than one shade of purple in order to achieve this look well. Blend the deep purple with the light purple in order to add a sparkle to your eye. Some women would rather wear this look with a lot of eyeliner in order to fit them. Do not forget your false eyelashes and mascara in order to make the look even more dramatic than usual. 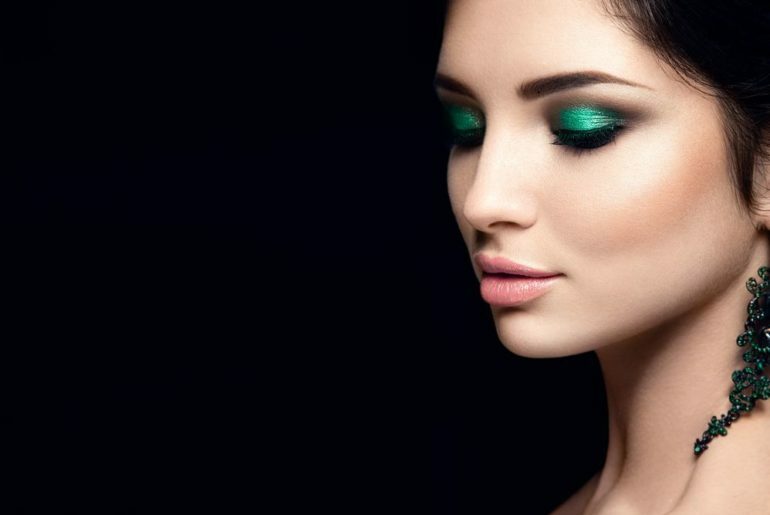 Since green is your natural eye color, it is only natural that you would like to use it in order to emphasize your green eyes. Some women may think that they have to steer clear from green because it is their natural color but this is not true at all. Play up with green and add specks of gold and you will not be disappointed. Line your lid with a sparkly gold eyeliner in order to emphasize the green eyeshadow. The shade of green that you are going to choose will depend on your skin tone. Finish the eye makeup with false eyelashes. 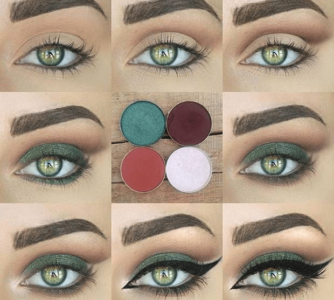 With all of these eye makeup looks that you can try for your green eyes, which one are you most interested to try when you go out soon?